3. Storage memory: 128MB- 2GB, 128MB can play video about 30 minutes. Push button--Press the button to play the video. Slide tongue or Magnet--Open the cards to play the video automatically.Close the card to stop playing. 5.Play video of company story, factory, products, Merry Christmas Birthday, Mother Day, Valentine's Day etc. Looking for ideal Digital Video for Ad Manufacturer & supplier ? We have a wide selection at great prices to help you get creative. 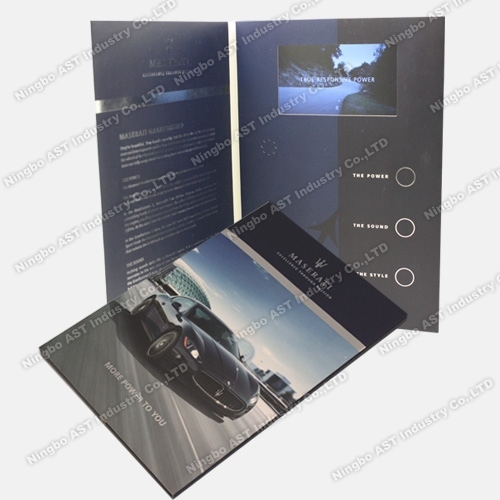 All the Video Player Greeting Card are quality guaranteed. We are China Origin Factory of Cutomized Video Booklet. If you have any question, please feel free to contact us.